The New Year is the day that not only marks the beginning of a new calendar year, it also bring new beginning to people’s life. Famous American writer Hamilton Wright Mabie quoted “New Year’s eve is like every other night; there is no pause in the march of the universe, no breathless moment of silence among created things that the passage of another twelve months may be noted; and yet no man has quite the same thoughts this evening that come with the coming of darkness on other nights”. At present, the celebration of the New Year is a major event worldwide. Many large-scale events are held in major cities around the world, with many large fireworks events on New Year’s Eve (31 December). And is the most celebrated by every religion and most people. All the major cities and famous restaurants spend millions of money for celebrating New Year’s Eve. Every one of us go for celebrating this, and one should select the best place for celebrating the New Year. Some people like to enjoy with their loved one with intimate dinner at home and some people opt for going out with friends and celebrate it, with a large crowd. First decide with whom you want to celebrate the New Year’s Eve. If you are going to celebrate at your home, it’s simple and less cost. You can do it with you dear and loved one’s and make it memorable and romantic. When you are opting to go out, make sure you are safe and get the best of the celebration, fun and joy. 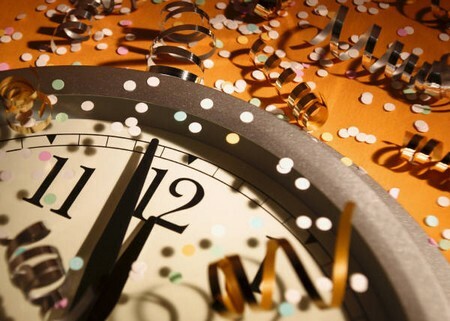 You can see in the month of December about the New Year Eve’s celebration in various restaurants, malls and cities. You can lookout for banners, newspapers and even surf through internet about this. If you are planning to travel somewhere for celebrating New Year’s Eve, make sure that you have sufficient amount and book the tickets early, as because you cant get in hurry burry for beginning a new year. There are many cities which celebrate it very grandly and some of them are London, Sydney, Paris, New York, New Delhi, Mumbai and the list goes very long. London, for example, has a major fireworks display along the River Thames, followed by a parade on New Year’s Day. Sydney launches over 80,000 fireworks at midnight, and has more than one and a half million attendees, every year. It is also the most watched event on television. So plan for your New Year’s Eve and start a year of joy and happiness with almost happiness.